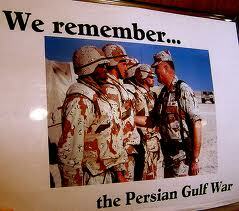 Remember the 1991 Gulf War between the United States and Iraq (aka: “Operation Desert Storm”)? A new study has been published in the American Journal of Epidemiology that assessed the health status of 5,469 deployed Gulf War veterans compared to 3,353 non deployed veterans. At 10 year follow up, the deployed veterans were more likely to report persistent poor health. The measures were functional impairment, limitation of activities, repeated clinic visits, recurrent hospitalization, perception of health as fair or poor, chronic fatigue syndrome illness and post-traumatic stress disorder. Although cocaine use has declined steadily since its peak in the early 1980s, public health officials estimate that about 7 million Americans used the drug at least once last year. Many of these folks are addicted to the drug, and its intense, short-lived euphoric effects mean the addiction is terribly difficult to overcome. Addiction specialists believe existing treatment paradigms for cocaine addiction can be enhanced by a vaccine that prevents the drug from crossing the blood-brain barrier, thus blunting its euphoric effects. Scientists have worked hard to develop such a vaccine, but have had limited success so far.